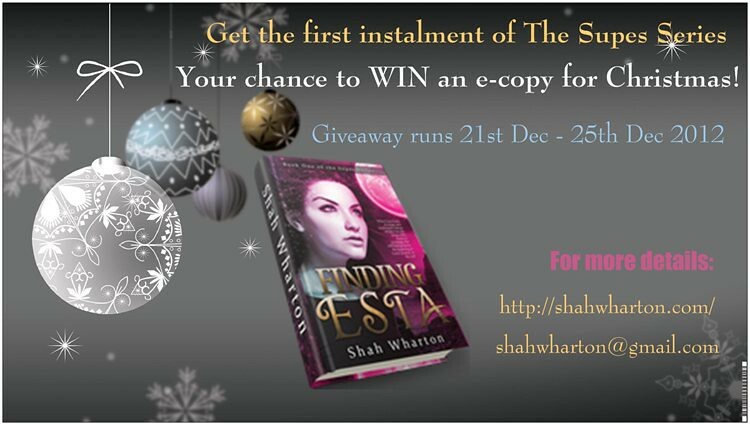 Today we welcome Shah Wharton, author of Finding Esta which is released today. Shah has a Christmas giveaway for you all to welcome the release of her new book… I will leave it to her to explain. 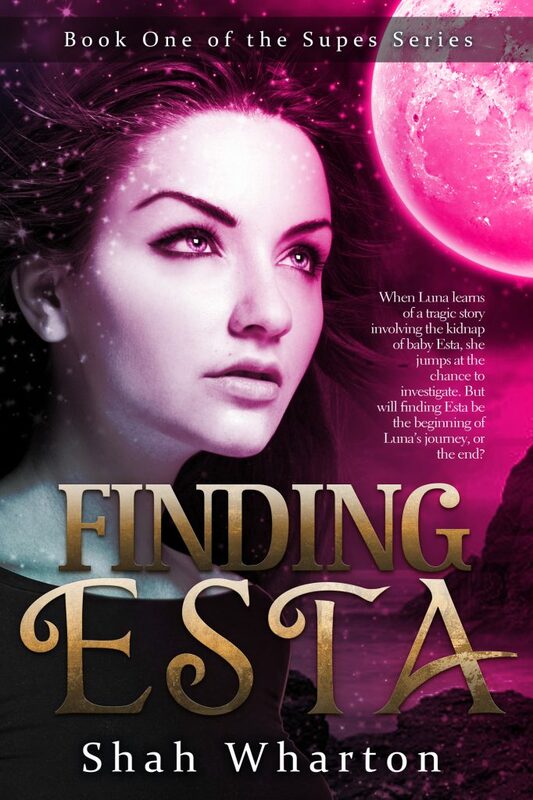 ‘Finding Esta’ Launch Christmas Giveaway! Yes – it’s finally here. After three years of writing, re-writing, beta readers, editing, cover designing, book trailers, yet more edits and many agonising hours of formatting, the first instalment of The Supes Series is ready and finally up on Amazon! There are five e-copies (you choice of file: ePub/Mobi or PDF) up for grabs, so please have a go and get Finding Esta FREE for Christmas. It’s $2.99 on Amazon, and will be for sale on Smashwords and Kobo in by February, and in print shortly after that. This is the fabulous cover – Like it? Yeah, But What’s The Book About? Shah met many authors and bookworms galore when she began blogging in 2010, after she moved to Dubai with her husband. She’s since learned a lot about blogging and writing, mostly from the awesome advice of her online peer-group. She uses her imagination to write short horror stories as well as poetry, but stumbled into writing her first novel after falling in love with Luna, a character in a short story she wrote back in 2010. That story grew into Finding Esta, the beginning of Luna’s journey to self-discovery. Finding Esta is her début novel and the first of The Supes Series. Her passions include blogging, writing, reading, movies, photography, music, theatre, travel, and fine dining. Her qualifications include BSc (Hons) psychology, counselling, and mentoring and she’s worked in retail, counselling, and social care. Her favourite genres include anything dark with fangs and/or that will make her squirm or jump or scream out an expletive. 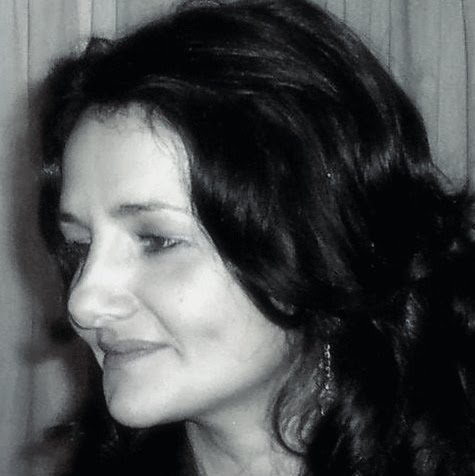 She is an avid Kindle abuser and adores the indie writing community and being part of the e-publishing revolution.